In AppMinute #217, Nemo and a mystery guest discuss three recommended new products for iPad and iPad2, plus possibly iPad3. Microsoft has a versatile new Bluetooth compact laptop keyboard, model 6000, that works perfectly with an iPad. 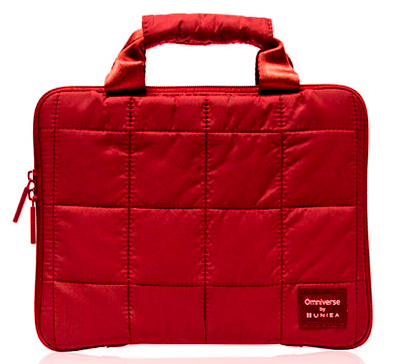 Uniea’s colorful, padded Omniverse mini-briefcase iPad tote will hold and protect all models of iPad. 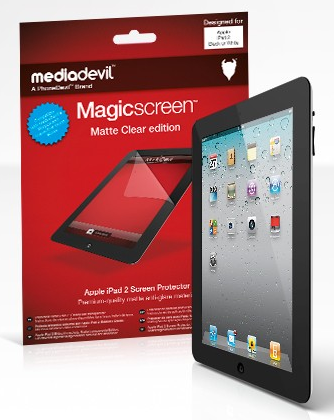 The Matte MagicScreen Protector from MediaDevil helps avoid smudges and scratches to your precious iPad glass front screen panel. This entry was posted in AppMinute Podcast, case, iPad, keyboard, Review, screen protector and tagged in Bluetooth, case, Keyboard, MediaDevil, Microsoft, screen protector, Uniea.